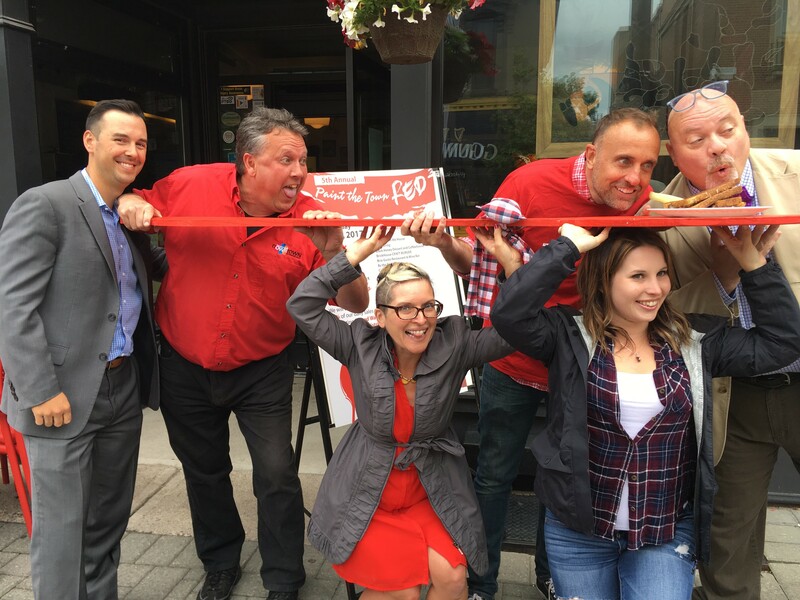 United Way Peterborough Launches Text 2 Give! PETERBOROUGH, ON – Just in time for Paint the Town Red, United Way Peterborough & District has launched mobile giving as part of its 2017 campaign. 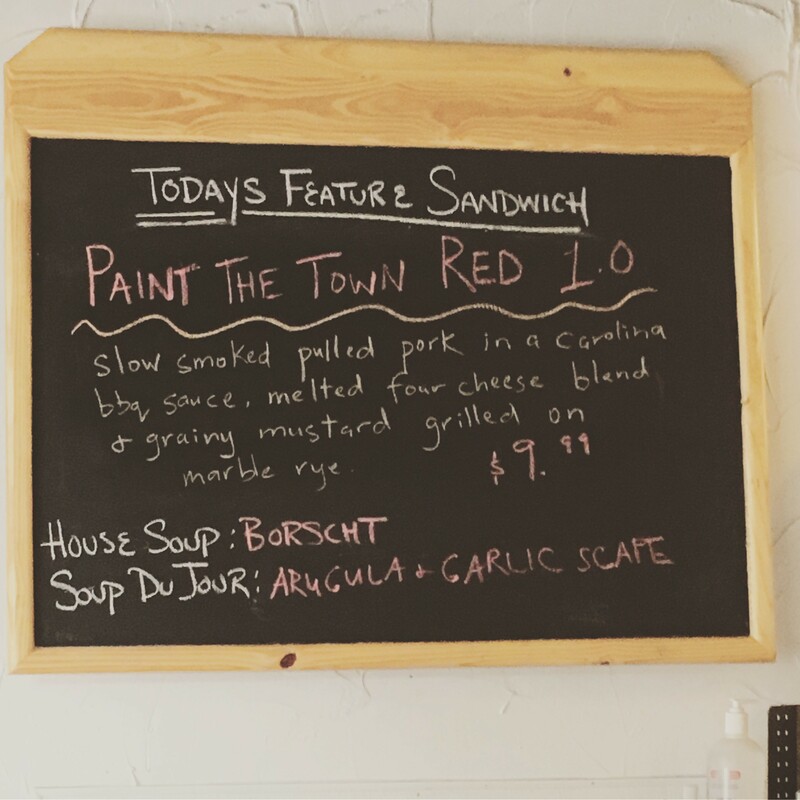 Local Foodies who can’t join us at Paint the Town Red can now donate $20 to United Way via text message. So how does work? 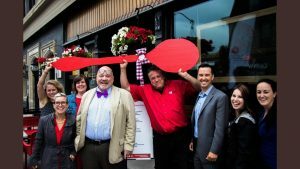 Diners can make a $20 donation to United Way of Peterborough & District by texting UWPTBO to 20222. No standard text messaging fees are incurred by mobile users to initiate and complete a text message donation. No portion of any amount donated is held by participating wireless providers. 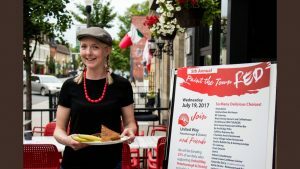 United Way Peterborough receives 100% or each donation made by text message. All mobile users can obtain a tax receipt for their donations made via text message by visiting the Mobile Giving Foundation Canada website. 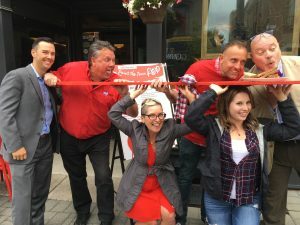 PETERBOROUGH, ON – Today at Sam’s Place, Jim Russell CEO of United Way of Peterborough & District was joined by Campaign Chair Neil Morton, Campaign Cabinet members Terry Guiel (Downtown Business Improvement Area) Peterborough and Laura Crann (Ashburnham Realty) and Sam’s Place owner Sam Sayer to announce the launch of the 5th annual Paint the Town Red event. 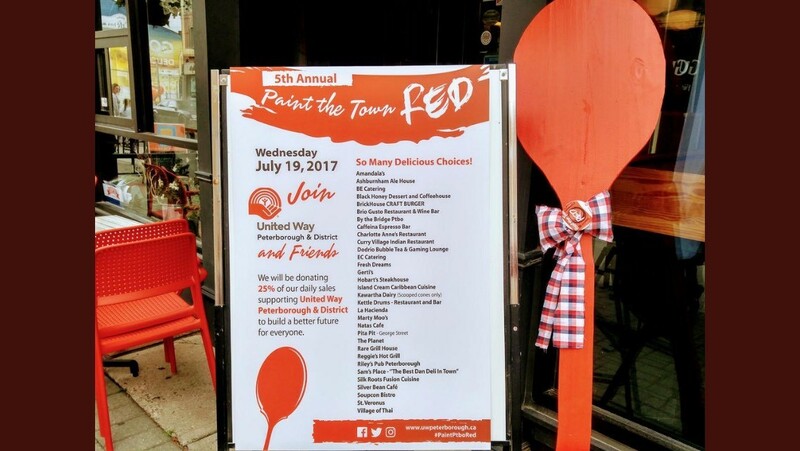 On Wednesday July 19th, participating restaurants will be donating 25% of their daily sales to support the work of United Way to build a better future for everyone. 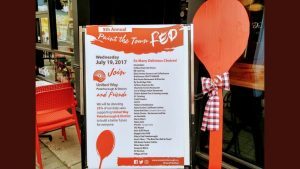 There is a 50% increase in participating restaurants bringing this year’s total to 32. 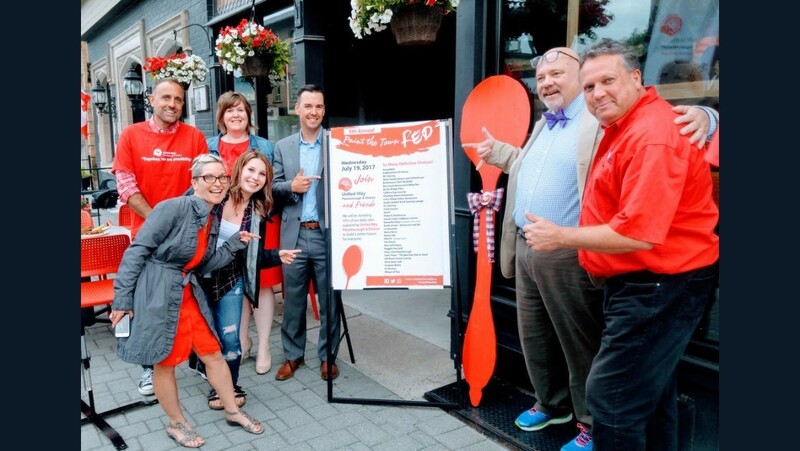 Cabinet members Guiel and Crann expressed that supporting this event is a great start to their first year volunteering for the United Way Campaign. Laura added, “It’s been a blast to take pictures with the ‘spoon’ while talking to folks about the work of United Way.” Special thanks to Terry who spent his own time carving and painting this Paint the Town Red symbol. Join our FaceBook Event page to receive up-to-date information and share with your friends! 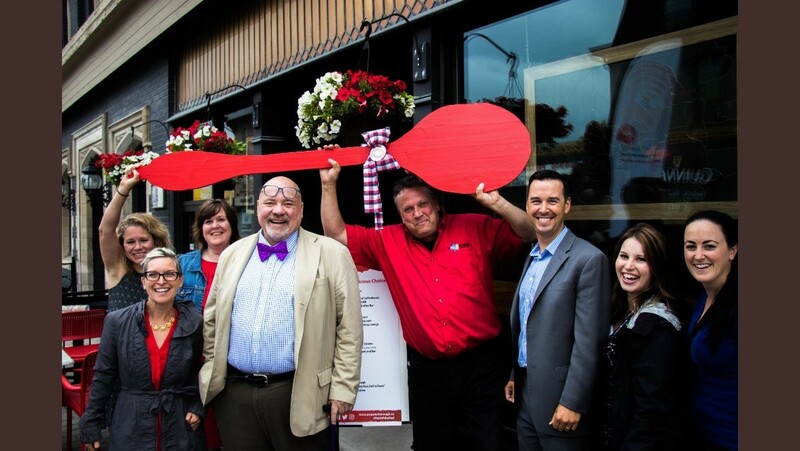 Click here for an interactive map of all participating restaurants thanks to Kawartha NOW! 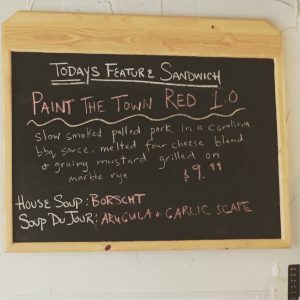 Sam Sayer of Sam’s Place, holds her “Paint the Town Red” sandwich which will be available all day July 19th for the event!